With a mixture of catchy pop, rock, heart felt melodies, and tingle in your stomach pop songs, Pearson comes across as a seasoned veteran. Melbourne, Australia is his home and Pearson’s debut album is a culmination of 7 years of hard work. This hard work was interspersed with seven years of jumping out of airplanes as a captain in the Australian army. Growing up in the tropical soundings of Papua, New Guinea, his songwriter talents have won him considerable followings on the Gold Coast, Darwin and Canberra. A wide range of topics and sounds are covered on Panaphobia. 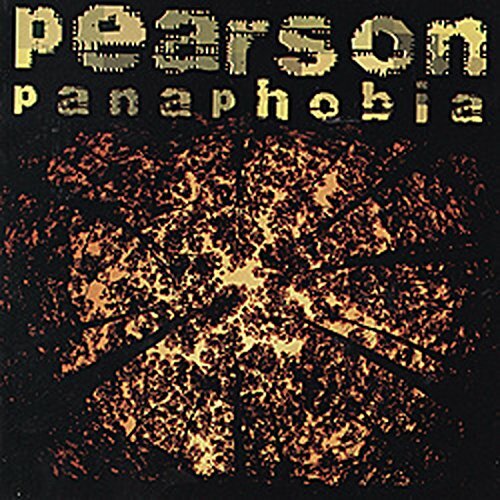 From the Blur inspired opener “Complicated” to the catchy radio pop of “1000 Mile Stare”, Pearson occupies that territory on the music spectrum which lies between the sounds of U2, Matchbox 20 and the drive of Pearl Jam. We like to call it “happy-boy grunge”. Produced in part by U.S. pop genius Adam Schmitt and Australia’s best up and coming engineer Michael Carpenter, “Panaphobia” is an exploration into Pearson’s fears, loves, indulgences and pop sensibilities. If ever there was a mixed marriage of U.S. top forty and Australian rock/pop ......this is it. Recommended for those looking for something new, original and heretofore unavailable outside Australia.